Perfect for mindful activities such as meditation and yoga, this simple yet powerful timer plays the beautiful sounds of the Tibetan singing bowl. 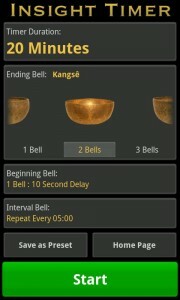 Insight Timer (formerly Zen Timer) is a slick little timer app designed for meditation, yoga, and other such activities. 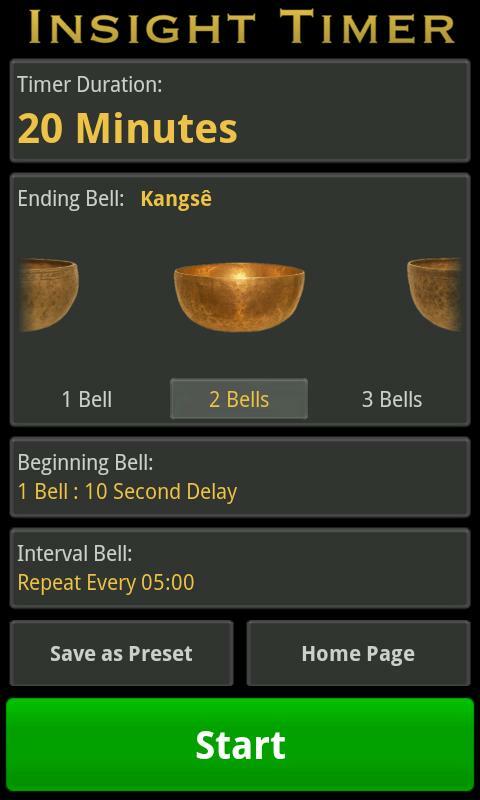 You could of course simply set the alarm clock on your phone or use a timer, but Insight Timer has a lot of options for customization, and its sounds are much more peaceful than typical alarms. If you’re beginning meditation and looking for its immediate benefits, starting in an effort toward better productivity, or have been doing it for years this little app is handy. Most productivity writing is about tips for organizing our workspace — creative ways to arrange our e-mail inbox, write to-do lists, color-code folders, and so on. These techniques can be useful, but they don’t deal with one of the biggest obstacles to getting our work done: our own minds. As I’ll bet you’ve experienced, if your attention is scattered, you feel sluggish and unmotivated, or you’re paralyzed with anxiety about what others will think of your work, it’s going to be tough to make the kind of progress you want, no matter how well-organized your e-mail is. With practice you may soon discover that many of the ideas and techniques used in meditation can also be applied “in real time” — while sitting at your desk working on a project. Meditation is something I’ve done on and off for over the past 10-15 years, but in the last two years I’ve become much more persistent in the practice. I’ve been intending on writing much more on it, however, it’s something that’s hard to describe to those who haven’t done it. Meditation often conjures thoughts of monks sitting in lotus position, chanting, etc. While there is a reason lotus position is often used (I personally prefer Seiza position while sitting on a zafu to help with posture and reduce strain on my knees and ankles), it’s not necessary and there are a variety of ways you can sit. Simply sitting in a chair will do just as well; some people do it while lying… you just have to be mindful not to fall asleep! Tal consults and lectures around the world to executives in multi-national corporation, the general public, and at-risk populations. Topics include happiness, self-esteem, resilience, goal setting, mindfulness, and leadership. You can find Tal’s website here.